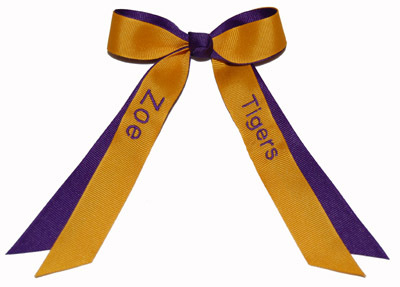 The Monogrammed Cheer Bows are made with with 7/8 inch grosgrain ribbon. Cheer bows are attached to a 2 inch French Clip. Ribbon ends are treated to prevent fraying.